When deciding on home carpeting, there are various factors to consider. 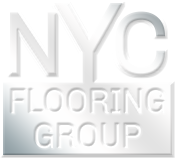 The New York Residential Carpet experts at NYC Flooring Group can help you find the proper carpeting for your home. Is the carpeting to be installed in a bedroom, living room or a child's playroom? Style, as well as durability, are amongst the top considerations when deciding the type of home carpet. Nearly all carpet is made from synthetic fibers, which are more resistant to stain, yet natural fiber carpets tend to resist crushing from traffic. Textured plush carpets adds casual beauty to any room, looks great between vacuuming, is the preferred style for busy households and is a great whole-house carpet. Saxony carpets have a refined cut-pile surface, luxuriously smooth, soft finish, adds distinctive elegance to any room, shows subtle highlights and accents and is ideal for residential living and dining rooms. For a casual or child's room, Berber Cut-Pile is ideal as it has the great plush feel of thick, cut pile carpet, is beautifully crafted, it is decoratively versatile and the subtle color flecks helps hide soil which may appear between cleanings. Shaw, Queen, Philadelphia, Mohawk, Aladdin, Durkan, Bigelow, Karastan, Lees, Holytex, Masland, Milliken, Tuftex, Cambridge, Aqua, Blueridge, Wunda Weave, Stanton, Couristan, Coronet. We have completed many residential carpet installation jobs in the New York metro area. All our residential carpet installation jobs are backed by licensed, certified residential carpet installers in addition to providing full insurance for installation. When seeking residential carpeting in the New York metro area, Manhattan, Queens, Brooklyn, Bronx, including Long Island, Nassau County, Suffolk County and Westchester, be sure to give us a call so you can get our 110% price match guarantee. We guarantee you won't find prices lower than ours.